To see a list of all of the latest fixes and additions, scroll down beneath this gorgeous illustration by AlterTheStars! Fixed bug that would make it possible for Yandere-chan to overhear the purple-haired girl’s rooftop conversation by standing in the room directly beneath her. Fixed build that would cause the cyan-haired girl’s bra task to automatically be completed under a set of very specific circumstances. Fixed bug that would allow Kokona to break out of her “being electrocuted” animation if she spotted Yandere-chan looking suspicious. Fixed bug that would allow Yandere-chan to talk to an NPC who was distracting another NPC, or being distracted by another NPC. Fixed bug that would cause Ryuto Ippongo to be bald in the “Witness Cam” that appears when a student witnesses murder. Fixed bug that would allow players to gossip about dead students. Added “Accept / Refuse” button prompts when the “Will you accept this task?” window appears. Replaced the “Quit Game” option on the pause screen with a “Return to Main Menu” option. Added a sound effect when the vending machine dispenses a can. I know it’s only been two days, but I need to bring this up again. I’m getting a flood of really useless and annoying e-mails, and sifting through them all is seriously cutting into my development time. Before e-mailing me, please think carefully about whether or not your e-mail is really worth sending. I may make a blog post elaborating about this problem soon. Yandere dev ,yandere deev~~When will we be able to kill Osana-chan??? Please answer my question. YandereDev is usually too busy to reply, so I hope that I’ll do. 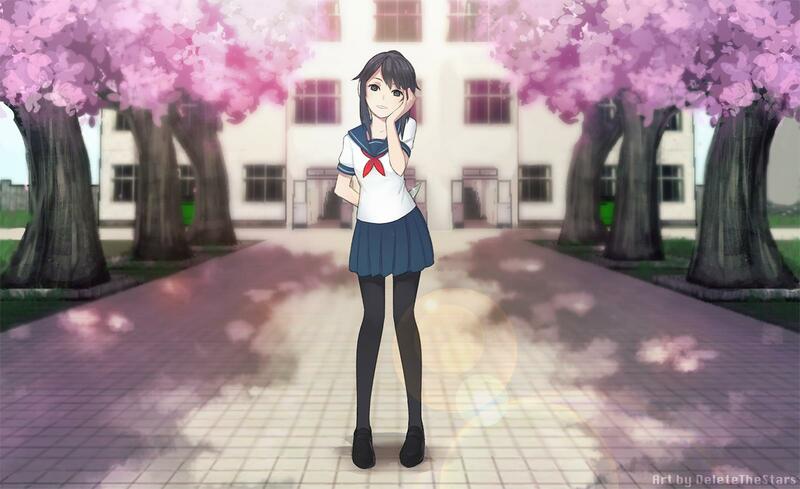 Osana-chan, the girl standing under the tree, will probably be the last and most important rival to beat. I’m just taking an educated guess, but I think she’ll be one of the last NPCs to be programmed into the game. actually, it’s been confirmed that osana’s the first rival. however, he said that he wants to program all the rivals last, so it’s likely osana can be killed when there’s an official demo released. Thanks for correcting me~ It was just a guess, after all. Plus if you could kill all the rivals and there wasn’t a proper ending programmed in yet, what would be the point of the game? So I’m pretty sure that you’re right. Now I’m no more afraid of teachers, because now I can just muking kill them when they chasing me. Muhahahah! i cant kill the 3-1 and 3-2 class teachers??? Will the vending machine have any use? Or is it there as a ,,hint” for what will the next build contain? Why suddenly, all the text are covered with pink? MEGA is better, corrupts Mediafire downloads! I think we need seasons changes c; would be nice to have snow when winter will come. I suggested such an option to maybe be implemented in a comment on one of the previous builds. Guys seriously, stop sending him useless information. How many times does he have to say it just to get it into your heads? when going out the option of choosing the female gender? I am also having that problem. But I’m re-downloading it to see if that works. I think Yandere Dev needs to get someone akin to a secretary. An assistant to go through his emails while he works on his game. It would be so much less stress on him if he had someone else handling his emails. I think he should also get a separate email, one just for him and his volunteers that no one else has access to. Would be easier for him to sort through the important emails regarding development projects. Just a thought! Doing a remarkable job on the game, I can’t wait to see the finished result! Keep up the fantastic work Yandere Dev! Midori-chan already suggested these before ;P Check out his earlier videos to see why he’d rather not do that. So Yandere-Chan name is Ayano Aishi ? This suits her well, even if it kinda pains me because for me, Ayano meant a good caring girl, because of the Ayano from the KagePro. great new easter egg but maybe in the future bind the easter egg key with a different one because now i cant turn off the copyrighted music with the c key anymore! Sorry but I think you made a mistake in taking out the follow me option for any reason. Even if the task thing is multiplied, it makes for some dull debug gaming when you before could get REALLY freaking creative with crap. Only being able to sneakily off Kokona and Miyu gets boring when before you could get freaky levels of creative. As a writer who likes a good murder mystery, really takes the fun out when you can’t be a stealthy yandere. To off anyone else you basically to keep the ONE chick always around to play distraction. Which gets tedious. Which is another problem I noticed in a lot of the newer builds is things are a LOT more tedious then they used to be. I get it, your trying to make a game with a LOT of possible outcomes, but taking out previous options that worked isn’t a good move at all. I was really disappointed and got bored quickly, so I didn’t even make it through the week to see all the options. You can’t get tasks from anyone else so the gameplay starts to get dull. I would save the task option for the FINAL build and put back in the follow me option or next debug build just…. Take it easy on the tediousness. In the final game we won’t have fun things like the teleport so we’d lose a lot of options REGARDLESS. When are you going to stop using that feeble email excuse & actually work on the game even half as much as you claim to? The download worked the first time, but afterwards, th file was corrupted permanently for some reason. Will the animation of Kokona looking at her desk be added to the game? And will you make it so that Kokona dies at school so all the students can see it? Y’all are freakin’ needy. Wonderful job Yandere-Dev! http://imgur.com/Idz1sOk I think the one with blue hair is taking a dump. how do you kill the teachers? can someone explain in detail on how? Is it possible to post about Kokona’s nightly activities even if you don’t haven’t heard the relevant conversation? If so, does it count as a success for dropping her rep? It’s from April… And I think he knows. Make an email for the spam.